The 21st Phil Kosin Illinois Women’s Open has crowned it’s youngest champion ever. 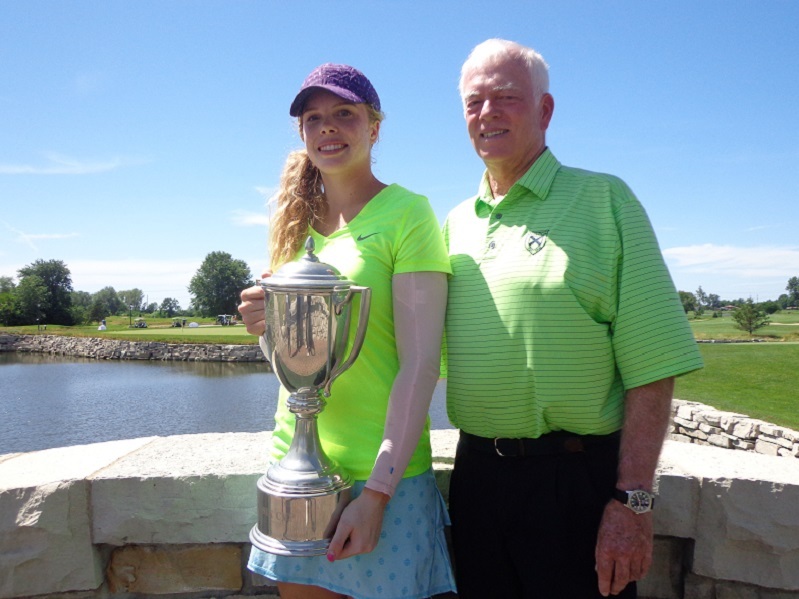 15 year old Madasyn Pettersen of Rockford (Above with Mistwood Owner Jim McWethy on the Champions Bridge at the Mistwood Golf Club). Pettersen locked in a tight battle late in the final round, exploded through “Kelpie’s Corner” without needing an “Amen” with Five Straight birdies, to cruise to a Five shot win after carding a six under par 66. Team Illinois, Illinois Junior Stephanie Miller (L), and Illinois Alum Ember Schuldt (Daily Herald hat) after the final round. The top players in golf are getting younger, even 26 year old Rory McIlroy has been making jokes about these young kids coming after him. The same can now be said about the top veteran LPGA players, because the young kids are coming after them as well. Illinois State Women’s Assistant Coach Chelsea Harris was in the final group with Pettersen, afterwards Harris admitted if she is a head coach before long, she might just be calling Pettersen herself. The championship wasn’t over all that quickly however, after four holes Pettersen was at -2 after a bogey on four, and Harris was at five under. Pettersen slowly fought herself back into a tie by the 14th tee with Harris, who won low-professional, and (a) Brooke Ferrell who was T-2 with Harris. Then Pettersen went on her late birdie binge and it was game over. Ember Schuldt who started the final round tied for first, could only manage an even par round of 72 and ended up alone in fourth place. University of Illinois Golfer Dana Gattone of Addison shot a 3 under par 69 to finish fifth. Biltmore club professional Katie Pius who is expecting her first child, also carded 69 and finished 12th. Pro-am winning professional Mckenzie Lyng rallied with four late birdies, but that only equaled out her four early bogeys. She carded a par round of 72 and ended up in 8th place, she heads out to LPGA Q-school this next week in California. Click here to hear interviews with IWO Champion Madasyn Pettersen, and runner up Chelsea Harris. While Harris got the first place professional check of $5,000 from the purse of $25,000, Pettersen went over and posed for a picture with LPGA UL International Crown Trophy, that made a trophy tour appearance at Mistwood during the final round. Someday if her game keeps progressing, Pettersen might just be holding that trophy as part of team USA. After her play at Mistwood, nobody would be the least bit surprised if Pettersen could see a bit of her future while looking at the trophy created by Tiffany’s for the LPGA Tour, and one of the world’s biggest women’s golf championships that takes center stage here at Rich Harvest Farms in July of 2016. Mistwoodgc.com the home of the 21st Phil Kosin Illinois Women’s Open. There is a 3-way tie for the lead in 21st Illinois Women’s Open at Mistwood golf Club in Romeoville. First round leader 15 year old Madasyn Pettersen of Rockford is tied with Chelsea Harris of Normal, and Ember Schuldt of Sterling. All three players are at 2 under par. Brooke Ferrell of Edgerton Wisconsin is 1 shot back at 1 under par, the rest of the field is at 1 over par or higher. The cut fell at +12 and 35 players have advanced to the final round on Wednesday. The tournament plans to send out the players in twosomes and starting about 7:30, even though with an odd amount of players making the cut, one player might start out as single at 7:20 and play alone or with a marker. There is a large group of players between +1 and +6 that are not out of contention, but would have to light it up in round 3 to have a chance to win or make a potential playoff spot. Past champion Jenna Pearson is 8 shots back, and Samantha Postillion who lost in a playoff in 2012 is 9 back, and might have played herself out of it with a double bogey on 18. Samantha is daughter off three-time past champion Kerry Postillion who was caddying today for Samantha, who couldn’t find some of her mom’s magic in round 2. Pro-am winner, professional McKenzie Lyng posted her second straight 74 and needs to make up 6 shots on the leaders. Diane Daugherty the first winner of the IWO, missed the cut. But says she plans to return and play again. To hear interviews with leaders Madasyn Pettersen, Chelsea Harris, pro-am winning professional McKenzie Lyng, and co-leader Ember Schuldt, click here. For the IWO, Mistwood is playing at a par of 72, and a yardage on 6,249. Trophy presentation will take place immediately upon completion of play. Round 2 of the Phil Kosin Illinois Women’s Open is today at Mistwood Golf Club. Round one is in the books, and it’s a youngster at the top of the leader board. Madassyn Pettersen 15, of Rockford leads after the first day at the Phil Kosin Illinois Women’s Open. Pettersen who has played golf for 11 years, or since age four, shot a 4 under par 68 to hold a two shot lead over Chelsea Harris, the Assistant women’s golf coach at Illinois State University and Jessica Yuen. Ember Schuldt a 1 under par 71, after leading her pro-am team to a second place finish on Sunday is three back, with Katy Jarochowicz and Brooke Ferrell. Ferrell made he move on the 7th hole, when she jarred a 166 yard ace with seven iron. At first Ferrell didn’t like the shot, but she did shortly afterwards. Just six players of the 66 players in the field brook par, the cut will be made to the low 30 players and ties after today’s second round. Some other scores of note. Sunday’s pro-am winning professional McKenzie Lyng was 6 shots back at +2, Samantha Postillion at +3, Past Champion Diane Daugherty at +4, Kris Yoo at +4, Jenna Pearson at +5. The Gog Blog will have a recap of round 2 after play concludes later today. For more of a recap on round one,please visit Tim Cronin’s Illinoisgolfer.net. The Gog Blog by Rory Spears, Editor and Director of Content. Follow Rory on Facebook, Linkedin and Twitter @GogBlogGuy. 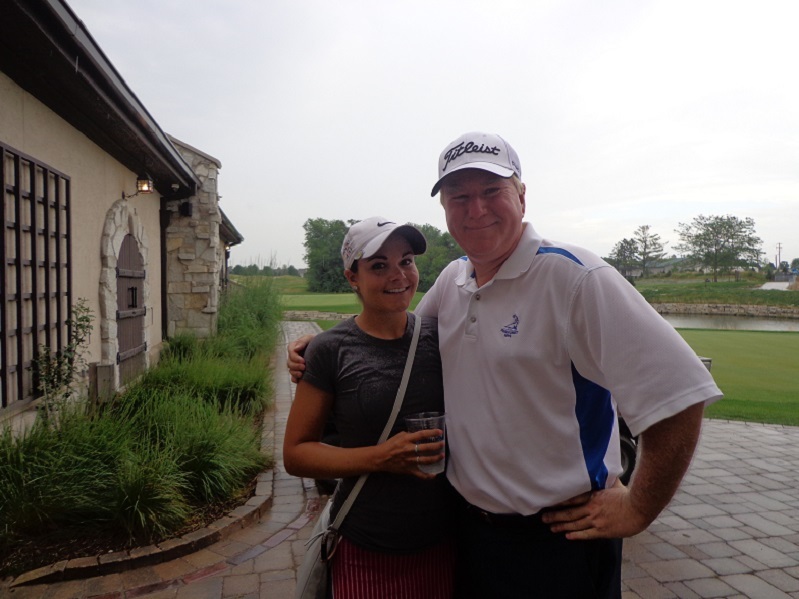 With winning IWO Professional McKenzie Lyng. The 21st Phil Kosin Illinois Women’s Open tee’s off today at the Mistwood Golf Club in Romeoville. This years championship is up for grabs as several recent past champions are missing from the field. Defending champion Emily Collins is oversea’s and some other recent champs are pulling their game together for this weeks Milwaukee Symetra Tour event or the LPGA Q-school in California next week. Even local LPGA star Nicole Jeray who played last week on the LPGA Tour in Michigan sporting a Mistwood bag and visor, is not entered. Mistwoodgc.com The 21st Phil Kosin Illinois Women’s Open. As a result, a slightly new crop of contenders has emerged. Past champion Jenna Pearson leads the field into Mistwood, but while Pearson has played well in recent years, she hasn’t won since the Ray Hearn renovation was completed. Pearson will have some good company from the professional ranks in trying to win the trophy. The winner of the IWO Pro-am Mckenzie Lyng is locked in, and so is Ember Schuldt from Sterling, who carried her team to a second place finish in yesterday’s pro-am. Katie Pius who has played well in recent years, will play again in spite of just finding out she is a few months pregnant. The new Mistwood Clubhouse is not yet complete, but should be by late September. Another name the could be right at the top is a familiar one, Postillion. Whule past champion Kerry Postillion will sit this one out, her daughter Samantha who lost in a playoff in 2012 to Samantha Troyanovich, is back and now as a professional after wrapping up her college career at Illinois. Allyssa Ferrell who hails from Steve Stricker’s neighborhood in Wisconsin, and was among the early leaders last year returns as well. On the amateur side, Elgin’s Stephanie Miller who is playing at Illinois, and lead for two rounds in 2012 when she was still in high school, is playing well after just qualifying for the 2015 U.S. Women’s Amateur. Kris Yoo from Schaumburg who is playing at the University of Wisconsin, has played Mistwood under par before, and is another amateur to watch. The field is down to 66 players after 2 players WD’d on Sunday. The first tee time is at 7AM for all three rounds. The Gog Blog will have coverage all 3 rounds. Stay clicked in. 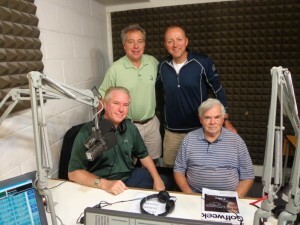 Golfersongolf.com and Golfers on Golf Radio 9 AM on WSBC AM 1240 & WCFJ AM 1470. Standing (L-R) Mike Munro-Ed Stevenson, Seated L-R Rory Spears-Bill Berger. 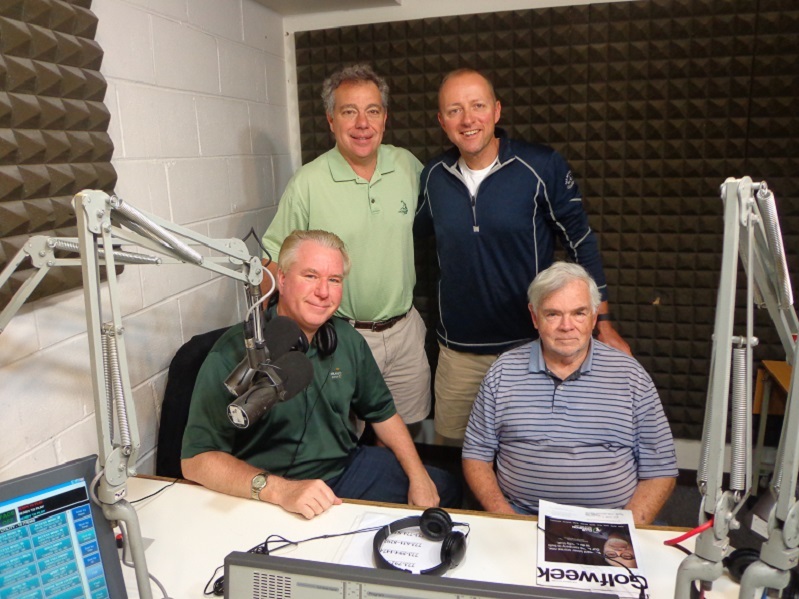 Golfers on Golf Radio returns today on WSBC AM 1240 & WCFJ AM 1470 radio and the tee time is 9 AM. If you miss you live because you are on the golf course, at the range, or getting lesson, you do get a mulligan. Check out the show here on this website, by clicking our past shows category. Week 15 is on the tee and as always we have some special guests joining us live on the program. Vince Pellegrino VP-of Tournaments for the WGA, he will talk about the upcoming Western Amateur at Rich Havrest Farms. Jim McWethy the owner of Mistwood Golf Club and the MCQ’s Golf Dome, will cover the Illinois Women’s Open at Mistwood that tee’s off tomorrow. We will have some wrap up of the British Open, Illinois Open and the USGA U.S. Open announcements of the past week, about years 2022-2023-2024. Golfers on Golf Radio returns to the Mt. 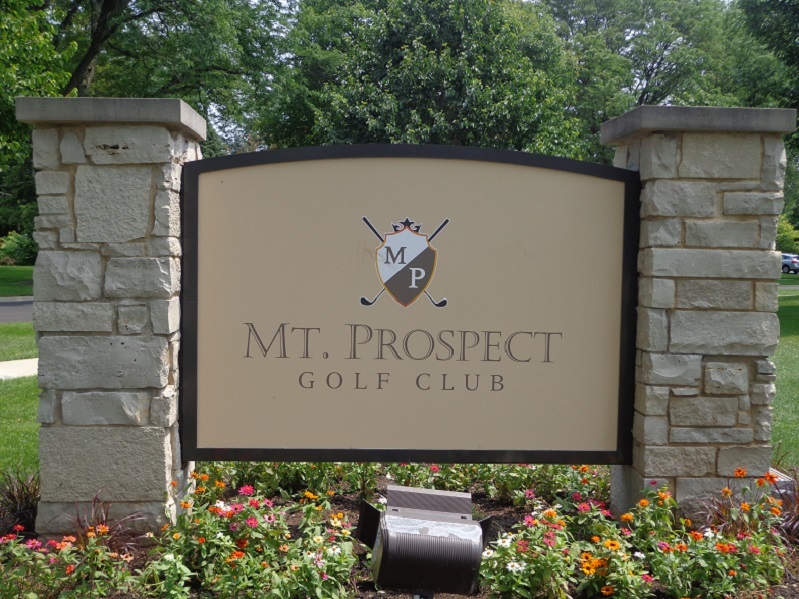 Prospect Golf Club for a live show on Sunday August 2nd, join us live as the Grand Opening shotgun tee’s off at 9 AM. The par 4, 17th hole at Forest Dunes Golf Club in Roscommon Michigan. TheForest Dunes Golf Club a Top 100 golf course in America by multiple publications, is now ready to open it’s new villa’s. Construction started in the spring, and the villa’s are ready to go. There are both 2 and 4 bedroom options. The villa’s have been designed with the same Adirondack architectural theme of the inside of the clubhouse and Lake AuSable Lodge, using hardwoods, cedar shake siding, and stone on the exterior. Inside the villas consist of a main living area, kitchen, and various king and double-queen bed arrangements. Rooms have flat screen TV’s, wireless internet, and private patio’s. In 2016 the new Tom Doak reversible golf course will open in the fall. With the new villa’s there will be 90 beds on property. Stay and play packages with golf and villa, start at $239.00 per night. More information Forestdunesgolf.com or call (989)-275-0700. 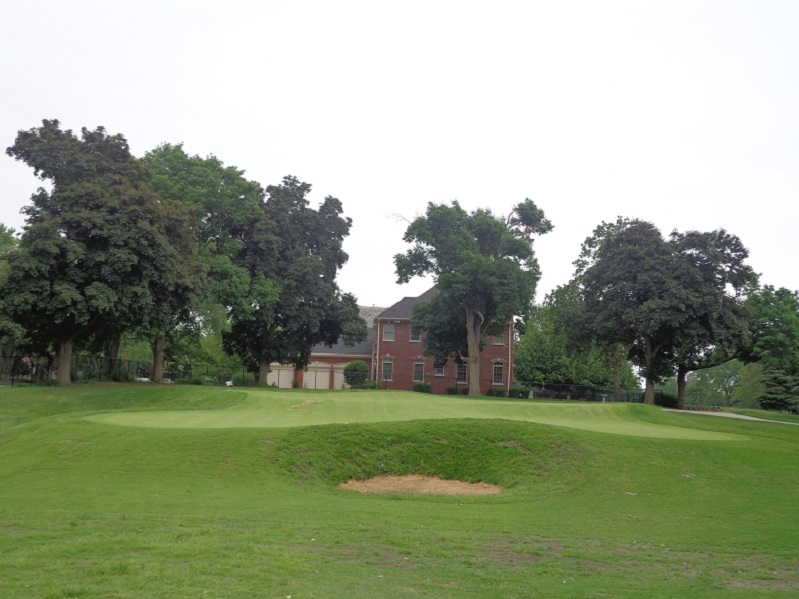 The Merit Club in Libertyville will host the 14th CDGA Senior Amateur Championship starting tomorrow. A full field of 90 golfers ages 55 and older will compete in the stroke and match play event for the Charles Morgan Auld Cup. Tomorrow will be an 18 hole stroke play qualifier. The low 16 players will then advance to match play, that starts on Tuesday with the round of 16. With the quarterfinals and the semifinals being played on Wednesday, before the title is decided on Thursday with an 18 hole championship match. Among the players to watch are, Vance Antoniou, Mark Esposito, Tom Miler a three time winner, Ted Pecora, Dave Ryan, Ted Zurkowski, and WGN TV’s Dan Roan. The Merit Club will play to a par of 72 and a yardage of 6,610 for the championship. WHISPER CREEK in Huntley will have the Par 3 Challenge on Monday August 17th, $45 gets you into this stoke play event, where all 18 holes will be played as a Par 3. $45 includes a cart fee, green fee, range warm up, and lunch. Closest to the pin contests and other prizes will be awarded. Whispercreek.com or call (847)-515-7682. ANTIGUA was named a product partner for the recent American Century Championship in Lake Tahoe, for more on Antigua see Antigua.com and ShopAntigua.com follow them on Facebook or Twitter. SPORT HALEY has introduced the isle of Capri Collection for fall of 2015. For 25 years Sport-Haley, Inc. has been of the nation’s premier women’s golf apparel companies. This fall see the new look that’s been inspired to traditional classics. Classic plaid meets modern floral, geometrics blend with a subtle femininity, and grounded colors are sparked with the new trendy color of -Capri. See Sporthaley.com and also Bette-court.com. ILLINOIS GOLF The members of the Fighting Illini Men’s Golf Team, made Second Team Ping All-American honors. Brian Campbell, Charlie Danielson, and Thomas Detry, congrats to all the golfers from Illinois on a successful season. KEMPERSPORTS Management group of Northbrook, has been selected to manage the Bog Golf Course in Saukville Wisconsin, that is now under new ownership after being sold by Evanston based Links Capital Advisers. 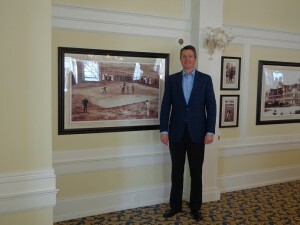 The new ownership group took over on July 1st. For more information see Golfthebog.com. KemperSports has also announced it’s been selected by Platte County Missouri, to manage the Shiloh Springs Golf Club, in Platte City Mo. The 18 hole par 71, course has significant elevation changes and optimal turf conditions. The course is only 5 miles from the Kansas City International Airport. See Shilohspringsgolf.com for more details on the course that opened in 1995, and has full golf and banquet facilities. THE ZION PARK DISTRICT announces that it’s Shiloh Park Golf Course will now have a 5-hole routing, for those golfers in a hurry, and Foot-Golf is now welcome at the course. Stop at their Open-House on Sunday August 2nd. AFTER WATCHING THE OPEN CHAMPIONSHIP, are you ready to get away to Scotland for some special golf. How about playing the venues of St. Andrews, Carnoustie, Turnberry, and Prestwick or the classic links of Royal Dornoch. 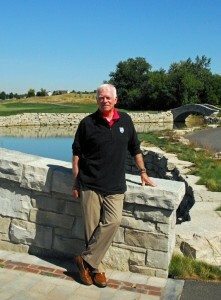 If you need more why not visit Golfbreaks.com and let them make golf in Scotland happen for you by calling (855)-699-5853. The Gog Blog by Rory Spears, Editor and Director Content. 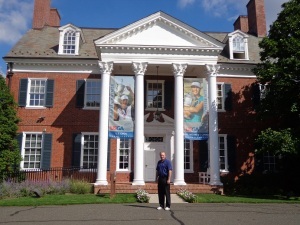 Follow Rory on Facebook, Linkedin and Twitter @GogBlogGuy, at The USGA Museum in Far Hills New Jersey. When you are the USGA, and it’s about the U.S. Open you swing for the fences. That is what USGA Executive Director Mike Davis and his team did, when picking the U.S. Open sites for 2022-2023-and 2024. In 2022 the U.S. Open will return to Brookline Mass. at The Country Club, in 2023 the open heads back out west to The Los Angeles Country Club, in California, in 2024 only ten years after hosting back-to-back U.S. Open’s in 2 weeks, the Pinehurst Resort on the 25th anniversary of the late Payne Stewart’s historic win there will host the U.S. Open for a fourth time in 25 years. THE FOLLOWING QUOTES AND CONTENT are from the USGA website. The 2022 open with be the fourth U.S. Open at The Country Club, the club recently held the 2013 U.S. Amateur there, won by Matthew Fitzpatrick. This will be the 17th USGA championship hosted by the club, second most among U.S. clubs to Merion that has hosted 18 championships. The Los Angeles Country Club will become the third U.S. Open venue in Southern California, joining Riviera Country Club and Torrey Pines Golf Course to host U.S. Opens. The 2023 U.S. Open will be the clubs fourth USGA championship, the third championship will be the 2017 Walker Cup Matches. 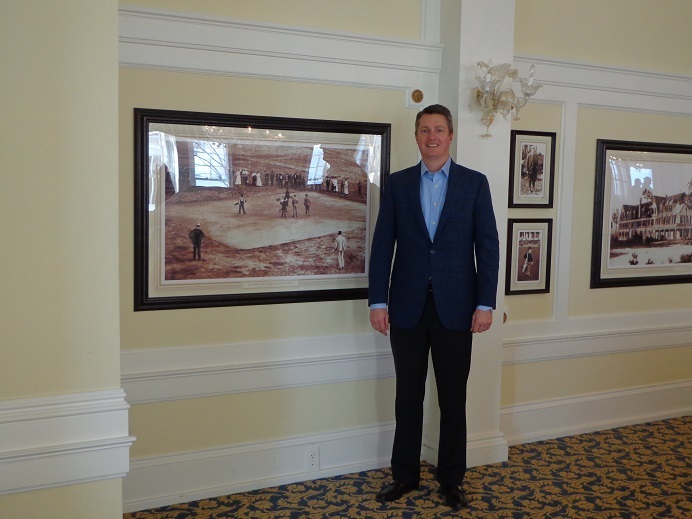 The Pinehurst Resort will host it’s 11th USGA championship on the famed Donald Ross designed No.2 course at Pinehurst. 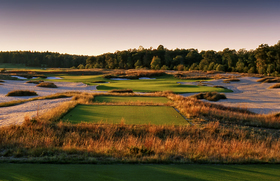 The course will host the 2017 U.S. Amateur Four-Ball Championship in 2017, and the 2019 U.S. Amateur Championship. Upcoming U.S. Open’s are 2016 Oakmont Pa., 2017 Erin Hills Wis., 2018 Shinnecock Hills golf Club Ny., 2019 Pebble Beach Golf Links Cal., 2020 Winged Foot golf Club Ny., 2021 Torrey Pines Golf Course, Cal., the next U.S. Open in Illinois 20??. Golfers on Golf Radio will discuss the new sites this Sunday morning at 9 AM, on WSBC AM 1240 & WCFJ AM 1470, we hope you will join us then. 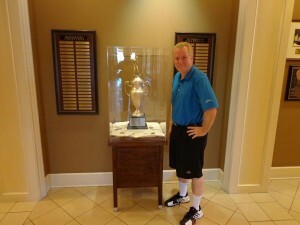 The Gog Blog Speaks Out, by Rory Spears, Editor and Director Content for Golfersongolf.com. Follow Rory on Facebook, Linkedin and Twitter @GogBlogGuy. 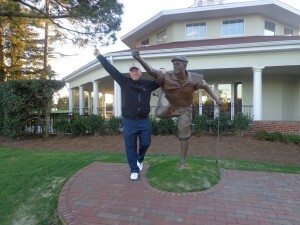 With the Payne Stewart statue at Pinehurst. THE OPENS ARE IN THE BOOKS, well except for the ones that are future sites, as announced by the USGA yesterday on their website. Congrats to Mike Davis and his team at the USGA, on selecting three sites that are home runs for the U.S. Open and for the game of golf. For those of you who missed the announcement, it goes like this. 2022 The Country Club in Brookline Mass., 2023 Los Angeles Country Club- North Course, and 2024 back to Pinehurst NC, and a visit to the Donald Ross classic Course No.2. and you can’t beat that. The only question left about 2024 in Pinehurst, is will the Women’s Open follow along, and it’s my thought that it won’t. The next U.S. Women’s Open in Pinehurst should be at Pine Needles, just down the street from the landmark that Ross built. USGA.org visit Golf House and the USGA Museum in Far Hills NJ., the new Jack Nicklaus building is open. In all fairness maybe the FIRST U.S. Sr. Women’s Open should go to Pine Needles, Peggy Kirk-Bell is deserving of another women’s open. It was a bit of surprise that 2022 is headed to Brookline and TCC, but it has the history. But more than one USGA type in recent years has suggested that it was a site out of the question due to space and other reasons. Well, Guess Not !, you know since Merion in 2013 was done so well, Miracle Mike Davis and his team have proved they could hold the U.S. Open about anywhere. 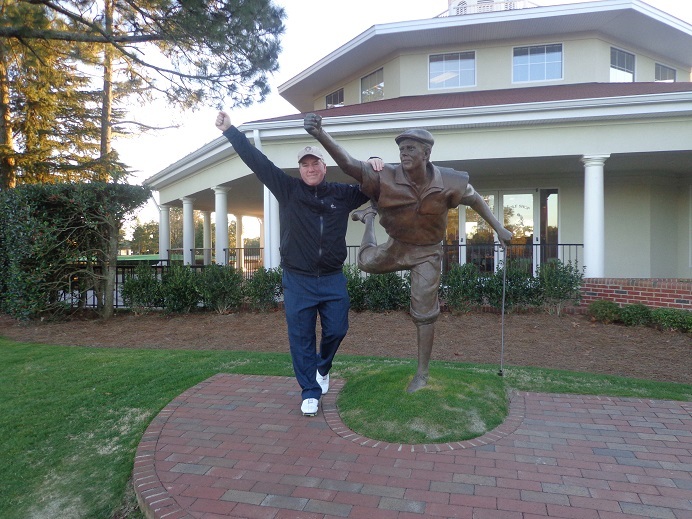 2023 in Los Angeles had been rumored about for a while now and Pinehurst in 2024, makes perfect sense on the 25 Anniversary of Payne Stewart’s dramatic win and later that year his passing. Which is all the more reason the PGA of America needs to bring the PGA Championship back to Kemper Lakes that year, with the Stewart connection from his first major win in 1989. Kemper Lakes must first of all get a Stewart statue up before any championship can be played there. While Davis and his crew did their home work on these three sites, there is still more work to be done. 2025, hey USGA, how about the Midwest yes why not US. Remember us, just pick us already, and while it could be Erin Hills again, Olympia Fields should be about ready. With all USGA events spoken for in 2016, 2017 and 2018, this is getting alarming that the Chicago Area and Illinois are being shut out by the USGA after the amateur is over at Olympia Fields in about 30 days. The memo to the PGA of America, your due to send something this way as well. THE ILLINOIS OPEN, congrats to (a) David Cooke who dusted the field at the 66th Illinois Open, second place finisher Vince India was 5 shots back. Cooke is a great story about one moves forward after a tough loss, which he did when his brother Chad passed away from a heart issue last December 23rd while playing basketball. Another big story at the Illinois Open, was the format and new amount of players and having it played over two courses. Eligibility seemed to be an issue as well. Some people liked the new format, others did not, some feel it needs a few tweaks while others just want to go back to the old format. 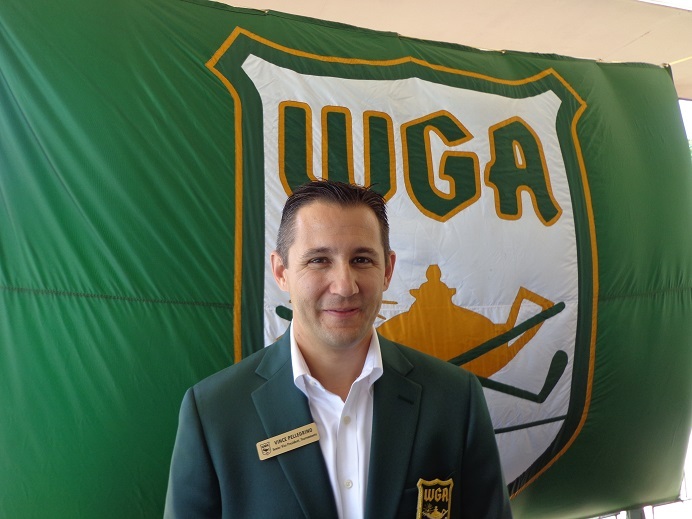 It does appear the membership, the IPGA board, and the Illinois Open committee need to meet again and go over some requirements before next summer rolls around. Just another thing new IPGA Executive Director Carrie Williams will get to deal with as she settles into the new job. THE OPEN CHAMPIONSHIP way to go Zach Johnson, you had the look on Monday of locked in and ready to win. That Claret Jug will look good in Iowa. Jordan Spieth gave it a great run, and just couldn’t quite pull it off. Had the playoff been Spieth and Johnson the folks at John Deere including Clair Peterson would have had a tough time rooting against either guy. AS FOR THE MYTH about needing to skip the John Deere Classic in order to have a chance to win the British Open, ah NO. That is not true, not now and never was. St. Andrews in spite of the weather held up, and it will be good to see it again in 2020, maybe I’ll get to see it first in person before then. The Phil Kosin Illinois Women’s Open tee’s off at Mistwood on Monday, and wraps up on Wednesday, it sounds like several of past champions won’t make the field due to an Symetra Tour event in Milwaukee later in the week and an LPGA qualifier the following week. 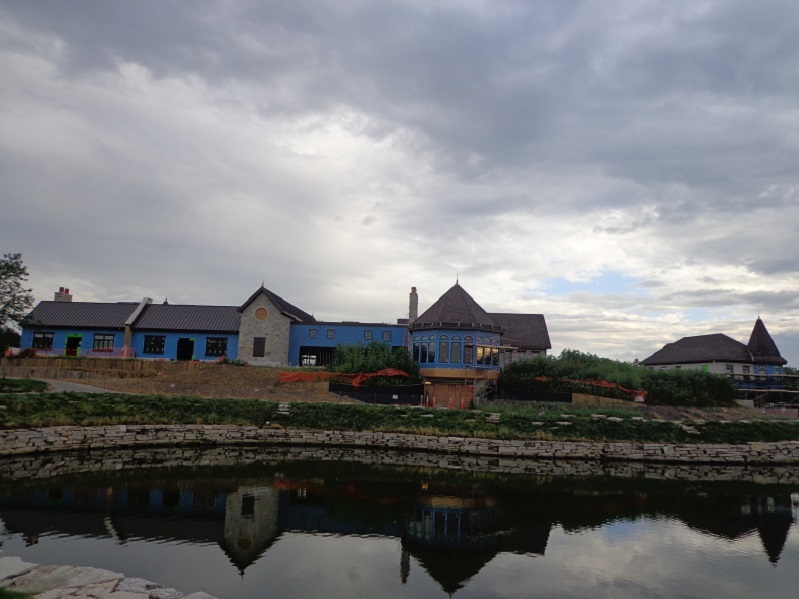 The new Mistwood clubhouse is coming along, wish it was open already. So does everyone at Mistwood. Wait Til’ next year !!!. The Gog Blog by Rory Spears, Editor and Director of Content. Follow Rory on Facebook, Linkedin and Twitter @GogBlogGuy With the Illinois Open Trophy at the Illinois Golf Hall of Fame in Glenview. 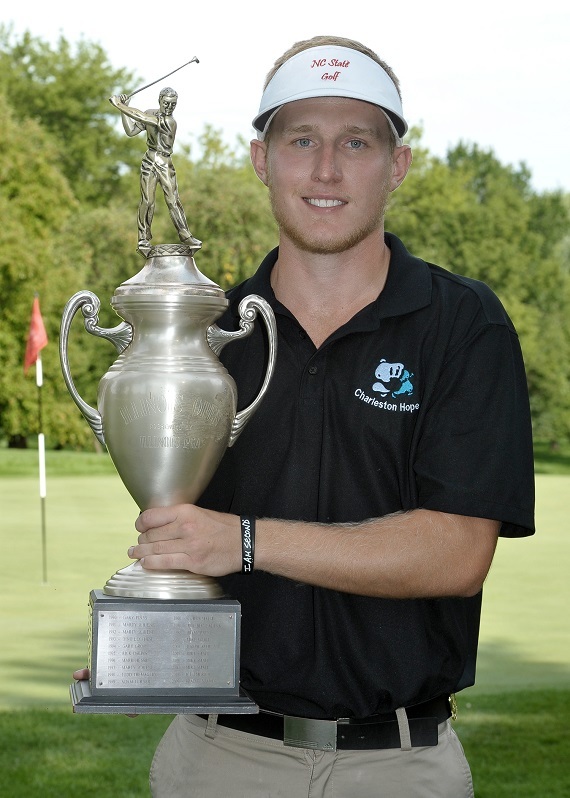 Amateur David Cooke recently of Lisle, and formerly of Bolingbrook, when he is not golfing for the North Carolina State Golf Team, is the new Illinois Open Champion. Cooke shot a lights out 9 under par 63 on the Royal Melbourne Country Club in Long Grove, to finish at 16 under par. That was good enough to beat Deerfield native and Web.com tour player Vince India by 5 shots. Cooke had a great round, that ended with a birdie on 18, that was after his bogey on 17 brought some interesting moments. Trying to get home on the par 5 17th in two shots, his second shot flew the green and missed hitting Illinois PGA Section President and rules official Jim Opp in the head by inches, and a local golf reporter by about 2 feet. It bounced once on the grass before hitting the cart path and ending up in the bushes, leaving Cooke no play. One drop later, he was on the green with his par putt just missing wide right. After India made birdie the lead was four. But India could only par 18, while Cooke made another birdie to close out his day. David Cooke with the Illinois Open Trophy. Photo Courtesy of IPGA and Nick Novelli. Matt Miller of Bloomington shot a 7 under par 65 to make a charge, he ended up at 10 under par. But then he was involved in something that he probably didn’t want to be. Miller accidentally put down a four on playing partner Rich Dukelow’s card for the 18th hole, when Dukelow made 5. Dukelow compounded the error by not checking the card closely and signed for it. Moments later while checking scoring on his phone, Dukelow knew there was a mistake, and brought it to the attention of the scorers. But since he had left the scoring area, he was DQ’d. A costly DQ it was for Dukelow a professional at Medinah Country Club, who lost some $5,166 dollars. “But I cant be a cheater,” Dukelow told the media afterwards. For Cooke winning the Illinois Open was a special moment. His younger brother Chad died in a pick up basketball game just two days before Christmas last year from a heart issue. But David’s older brother jay flew in from South Carolina to be on the bag, and a great combination they made. Cooke will return to the Wolfpack for his senior season this fall. Illinois Sophomore Nick Hardy posted another 66 at Royal Melbourne, this time good for 6 under par, unlike the 5 under par it was on Monday, with the first hole going back to par 5, after being a par 4 on Monday. But it still left him far behind Cooke and two shots behind his coach at Illinois Mike Small, who shot a final round 68 to finish the tournament at 4 under par. Click here to hear interviews with David Cooke and Vince India, starting with Cooke explaining his situation on the 17th hole, where he avoided additional penalty shots that came into question. Opp said in his post round speech, that the championship will be held back again at the same two courses, Royal Melbourne and Hawthorn Woods. But that remains to be seen, stay clicked in. Final Round play wraps up today at Royal Melbourne Country Club in Long Grove. The new look Illinois Open is two rounds in the books, and after 36 holes it looks a lot different than it did after 18. The cut has been made and only 80 players will have chance to win the title, after +8 or better got to stay for the final round at Royal Melbourne Country Club in Long Grove. (a) David Cooke shot a 6 under par 65 and holds a share of the lead with Brad Marek, who shocked the world with a 6 under par 66 at Hawthorn Woods, a course that dashed the hopes of so many first round leaders. Vince India who was in second place after round one, is in third place after round two but only 1 shot back. Rich Dukelow is three shots off the pace. 2010 Illinois Open Champion Eric Meierdierks is 4 shots back. Cooke, one of the 29 amateurs who made the cut is about to enter his senior season at North Carolina State, and had to survive a three-way playoff to get into the field. Almost playing themselves out of the field were three of leaders from the first round, who all got destroyed at Hawthorn Woods. First round leader David Lawrence of Moline, saw his 62 from Round 1, become an 80 at (HW) in Round 2, but the 80’s numbers didn’t stop there. Matt Slowinski from Conway Farms, worked the BMW Championship media day and then saw his 66 at (RM) from the first round become an 80 at (HW). But even that wasn’t all the shock at (HW), Nick Hardy after a first round 66 at (RM), rebounded with an 81 at (HW). White Eagle Country Club professional Curtis Malm found himself back in the hunt after a 1 under par 71 at (HW), Malm sits in a T-8 position. Illinois golf coach Mike Small is T-14 and is at even par after a 73 at Hawthorn Woods. A couple of surprising missed cuts went to Garrett Chaussuard who missed by 1 shot at +9, and 2014 IPGA Player of the Year Travis Johns missed by two shots. Final Round action starts at 7:30 am today at Royal Melbourne only. David Lawrence from Moline Illinois, your leader after Round 1, of the Illinois Open, photo by Master Photographer Nick Novelli, and courtesy of the IPGA. Golfersongolf.com by Rory Spears, Editor and Director of Content. Follow Rory on Facebook, Linkedin and Twitter @GogBlogGuy. It’s round one of the Illinois Open that is complete with it’s new format of 254 players and being played over two golf courses. It will take a little getting used to by some players, but David Lawrence a professional from Moline of the Quad Cities fit right in on Day 1. Lawrence shot a 9 under par 62, at the Greg Norman designed Royal Melbourne (RM) Country Club in Long Grove, he holds a 4 shot lead over University of Illinois Sophomore Nick Hardy, and Conway Farms professional Matt Slowinski who each carded 5 under par 66’s on Royal Melbourne. In fact only 3 of the top 31 scores were carded at Hawthorn Woods Country Club. Casey Pine of Bloomington shot 3 under par 69 for the low score at Hawthorn Woods (HW). Lawrence is trying to work his way to the PGA Tour, he tried to qualify for the recent John Deere Classic in the Quad Cities and came up short in the local qualifier. So he is moving around the country playing smaller tours in Florida and the Dakota’s. He had 10 birdies and 1 bogey on his card, and admitted that couple of putts lipped out or he might have gone lower. His mental coach Darin Hoff has been an inspiration and as Lawrence says has helped him “hit the reset button” to keep the momentum going when he is playing well. The Eastern Illinois University graduate made the turn in 30 before adding three birdies on the back side. The 62 Lawrence shot is now the best round in Illinois Open history by two shots, taking the name Dusti Watson out of the record books. Watson shot 64 at Royal Fox Country Club in 1994. To hear interviews with Matt Slowinski and Nick Hardy click here. Defending champion Brad Hopfinger is on the Web.com Tour and could not defend his title. Dustin Korte the low amateur two years ago at the Glen Club with a second place finish, was DQ’d for carrying his own bag 15 holes into his round. Illinois Open rules state you must take a caddie or cart. There was no explanation why it took so long for Korte to be DQ’d, when it could have happened on the second hole. Some other top scores include. Vince India at 5 under par. Past Champion Phil Arouca at 3 under par T5, Steve Orrick at 2 under par T8, Mike Small 1 under par T-12, Curtis Malm 1 under par T-12. Past champion Eric Meierdierks Even par T-21, Jim Sobb +1 T-32. Round 2 takes place tomorrow, with the player flipping courses, and after play concludes the field will trimmed to the low 70 and ties.